A highlight was Ian Chubb’s presentation that pointed out that if you look at all papers published in the last 115 years, about 50% were either never cited or only cited once. The hope is that open access publications and associated open research data will improve these sorts of statistics. George Bernard Shaw was quoted by geologist Geoffrey Boulton (Univ. Edinburgh) as pointing out: “If you have an apple and I have an apple and we exchange these apples then you and I will still each have one apple. But if you have an idea and I have an idea and we exchange these ideas, then each of us will have two ideas.” That summarises the benefit of sharing ideas, and research data! 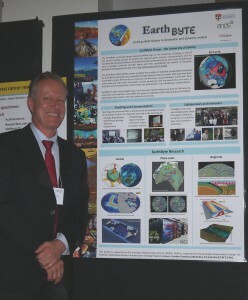 This event wrapped up a 6 month ANDS (Australian National Data Service) funded project between the EarthByte Group, and the University of Sydney’s library and ICT departments. 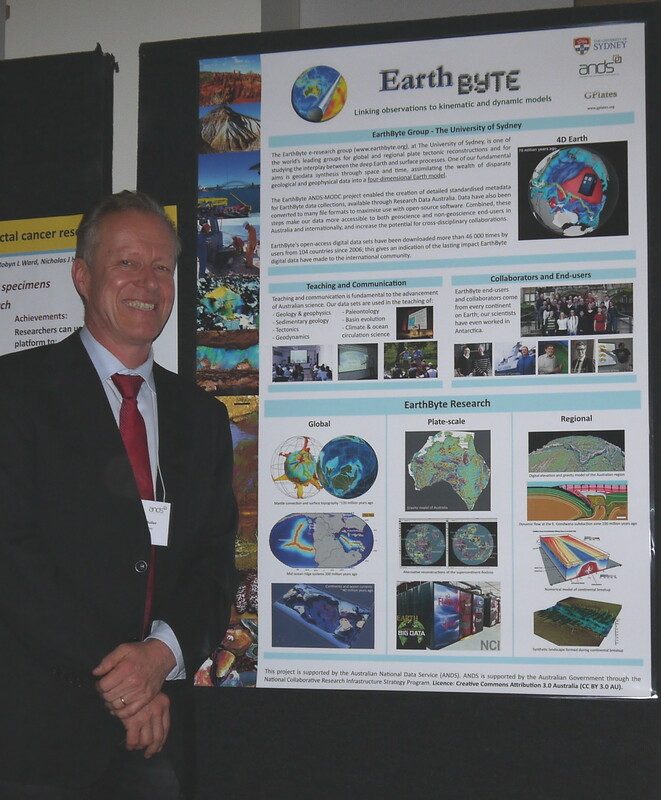 Through this project we were able to make EarthByte data collections even more accessible to the Australian and international communities by improving metadata and producing multiple file formats for each data set that maximise use with open-source software! Well done Kayla Maloney, Kara Matthews, Amanda Thran and Hjörtur Jónasson for their hard work on the project.